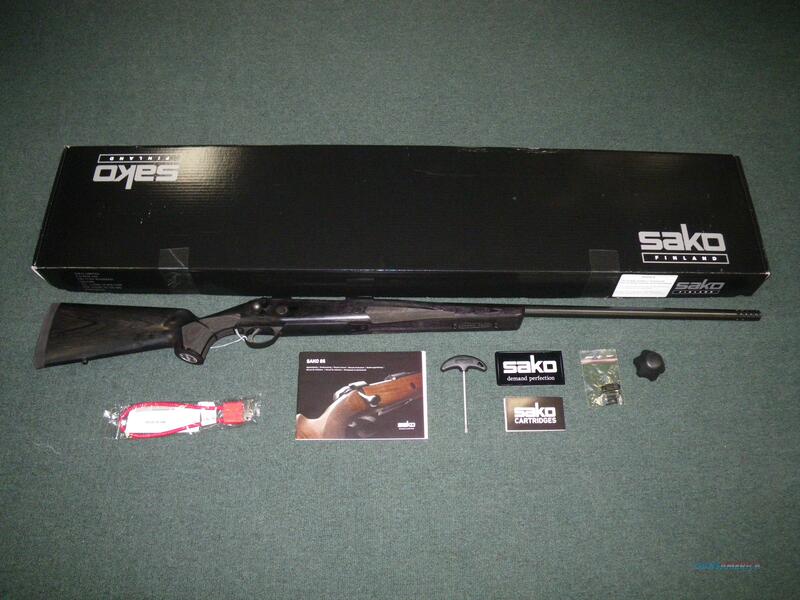 Description: You are bidding on a new Sako 85 Long Range in 300 Win Mag with a 26" barrel. This firearm is customized from the factory to repeatedly hit long range shots. A flattened fore-end provides a stable platform when shooting without a bi-pod. Two swivel studs allow you to attach both a bi-pod and sling at the same time. The stock is specifically designed for the prone position. A flush-fitting threaded muzzle brake greatly reduces the recoil of the heavy magnum loads. Displayed images are stock photos. Any questions please feel free to ask (our phone number is in the additional information tab above).